to help us promote our newest insurance product, Petplan. What’s Best of Show? It’s whatever your cat or dog means to you – is he or she the cutest, funniest, best dress/costumed or best furry friend ever? Show us in pictures! This contest is open to members and will run from March 20-April 20. A $100 Petsmart gift card will be awarded to each top winner in the “Best of Show-Dog” and “Best of Show-Cat” categories. Photo entries will be judged anonymously. 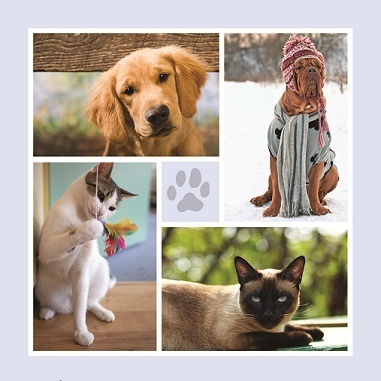 In addition to a gift card, the winning pet photos will be used in our future Petplan print and electronic promotional materials and will be featured on our Web site and social media sites. entry must contain the following information for your entry to be considered complete: member’s full name, full address, phone number, pet’s name, breed, and approximate age of pet. Entries missing any of the required information will be disqualified. Photos will not be accepted by regular mail or at any Members 1st branch location. 2. A total of two (2) photos may be submitted in each category – dog or cat – per household. 3. Photos must be of dogs or cats and may not contain any humans or other animals. 4. Photo size should be no less than 12 mega pixels or 4000 x 3000. Photos may be horizontal or vertical. 5. Accepted photo file formats are JPG or TIF. Photos may be black & white or color. 6. Submission of an entry/entries grants Members 1st FCU permission to use the photo in marketing materials for Petplan without further compensation. Facebook page and blog and in the May-June issue of Avenues. 8. You must be 18 years of age to submit an entry. 9. Photos containing provocative, derogatory, violent, sexual, racially, discriminatory, culturally or socially sensitive material will be disqualified. 10. Copyrighted/trademarked photos will be disqualified. conditions or any aspect of this program without advance notice. Members 1st associates, volunteers and family members are eligible to submit entries in the Associate’s Pet Photo Contest.